From May 12-19, Muralists are painting live at 9 different buildings around Jack London Square (west of the 880 freeway and south of the Port of Oakland). Find the mural's locations on this map, which can also be found at the Festival's Headquarters (54 Washington Street). ??????????? ?#OAKLANDMURALFESTIVAL BEGINS! ???????????? Here's your map to the walls! Catch the muralists live at these 9 sites throughout #JackLondonSquare from May 12-19! 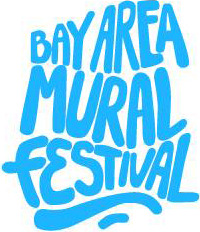 Take flicks, tag our IG & #Oaklandmuralfestival and let us know you're out here. ???????????????????????????????????????? #Murals #Oaklandartmonth #LiveArt #Process #streerart #BayAreaMuralFestival #oaklandart 1. Jack Eastgate &Alise Eastgate ofEastRand Studios: @EastRandStudios 697 2nd St (corner of 2nd st and MLK) 2. Mike Bam Tyau @miketyau and Jesus Rodriguez @Ease_us 101 Jefferson St. (MLK & Embarcadero West) 3. Creative Shields aka Lower Bottoms Collective: James Shields @CreativeShields Berj @berj.j.ber Chuck Light C.light Timothy B. @Timothyb_art 101 Jefferson St. 4. Caleb Duarte @Caleb_Arte_ with Embassy of the Refugee Project 201 Broadway St. 5. Trust Your Struggle Collective @TrustYourStruggle Erin Yoshi @ErinYoshi Miguel Bounce Perez @MisterBounce Nisha K. Sethi @Nisha.k.Sethi 400 Franklin St. 6. Oakland International High School youth with teaching artists Los Pobres Artistas Collective @LosPobresArtistas 370 4th St. @ Webster 7. Susan Greene and Art Forces @ArtForces @DrSRGreene 370 4th St @ Webster 8. Dave Young Kim @DaveYoungKim 200 Webster St. 9. David Burke @davidburke_studio 78 4th ST Don't forget Gallery 54, the Oakland Mural Festival Headquarters is open throughout the week 54 Washington! Come through! 172 Likes, 3 Comments - BAMFest (@bayareamuralfestival) on Instagram: "??????????? ?#OAKLANDMURALFESTIVAL BEGINS! ???????????? Here's your map to the walls! Catch the muralists live at..."
Click on the highlighted points to see more specific information regarding their locations or open this map in your Google Maps app. This map shows a bicycle route for the Oakland Mural Festival starting and looping back to the Festival's Headquarters (54 Washington Street). Click on the highlighted points to see more specific information regarding their locations or open this map in your Google Maps app.